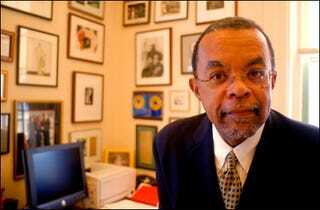 If Dr. Henry Louis Gates, a Harvard professor and well-known scholar, can be arrested in his home there's one thing to conclude: it's absolutely ridiculous to think we live in a post-racial America and profiling black men is part of the DNA of America. Look, I would have screamed, too. I would have called the cop a racist, among other things. I don't know how many times black men have to explain that we're profiled everyday and enough is enough. From being pulled over for allegedly looking like a drug dealer to walking down the street eating an apple, it's all dehumanizing. My paternal grand-uncle was killed by white police for not letting them enter his Georgia home and search for a "fugitive". Incidents like this happen all of the time and the degree of outrage should never be… surprising.